Item # 315963 Stash Points: 2,595 (?) This is the number of points you get in The Zumiez Stash for purchasing this item. Stash points are redeemable for exclusive rewards only available to Zumiez Stash members. To redeem your points check out the rewards catalog on thestash.zumiez.com. 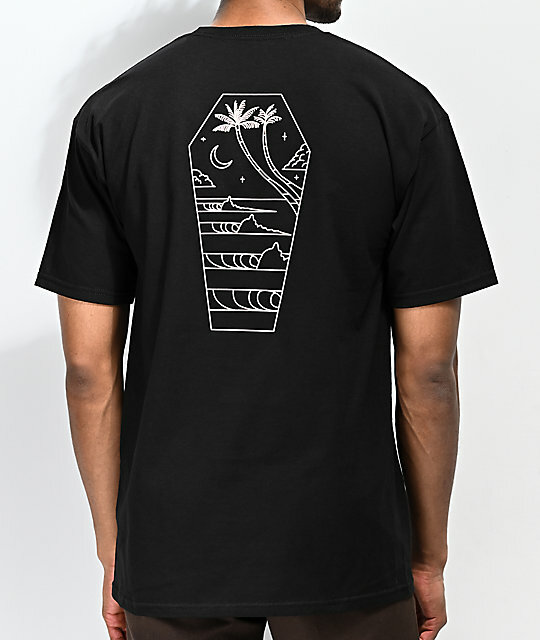 The Casket short sleeve tee from Dark Seas features a pale pink screen print of a casket shaped beach scene with a palm tree and waves within at the back. 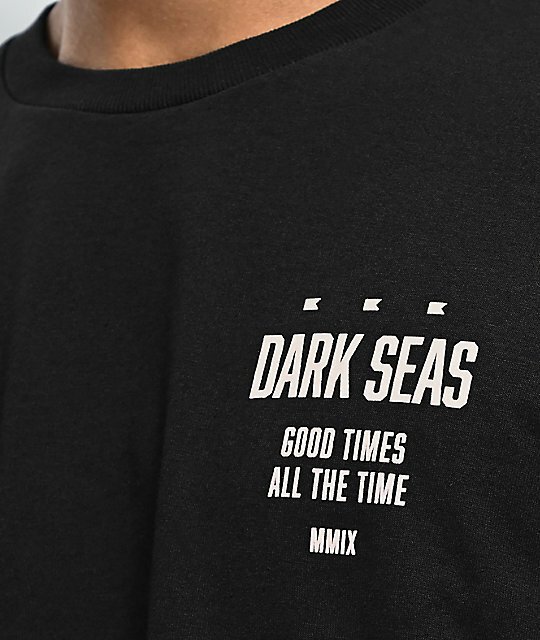 The left chest is finished with "Dark Seas Good Times All The Time." 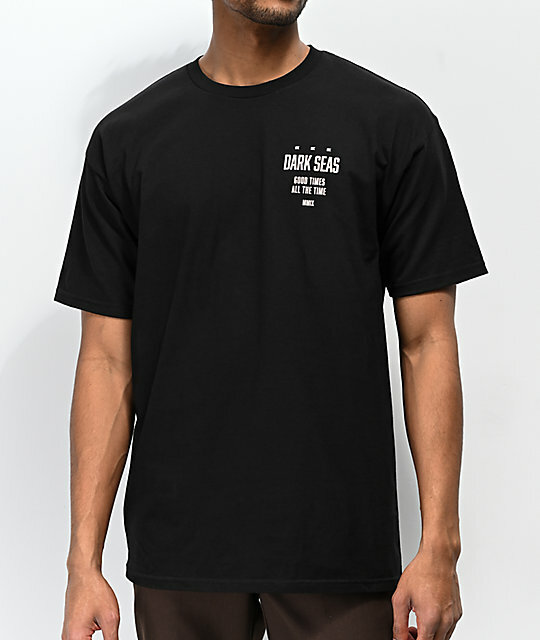 Casket Black T-Shirt from Dark Seas. Brand tag at bottom front hem.